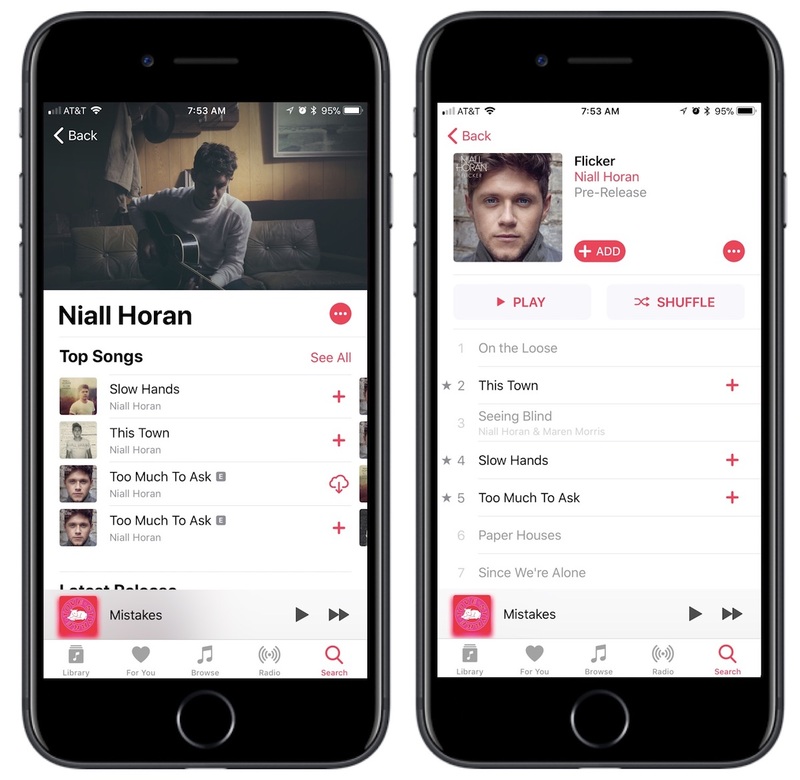 Apple Music subscribers will be able to watch an exclusive short film about the making of Niall Horan's new album "Flicker," with the movie and album set to launch simultaneously on October 20 (via Billboard). The film will showcase Niall in a behind-the-scenes look at the making of his debut album, similar to the short film that Apple Music released about Harry Styles around the launch of his own debut album in May. "On The Record: Flicker" will feature interviews, footage of acoustic rehearsals, and "insight into Horan's creative process and this watershed moment in his career -- all with heart-on-sleeve honesty that he pours into his songwriting." Prior to the October 20 debut of the film and album, there will be an "intimate private screening" for fans of the movie in Los Angeles on October 19, after which Horan will premiere the songs from Flicker in a live performance. "I always knew that if I ever made a solo album what it would sound like," Horan says in a preview of the film. "I spent the last year and a half between the four walls of a studio and I'm ready to go and show how proud of the album I am." Another recent Apple Music short film looked into Pink's creative process when making her new album "Beautiful Trauma." The film -- titled "On The Record: P!nk - Beautiful Trauma" -- included interviews and behind-the-scenes footage with Pink "reflecting on her art and her career, on motherhood and the world we live in--all with the sort of honesty and sense of humor we've come to love and expect." Similar to Horan's film and album, Beautiful Trauma is set to release on October 13 alongside the short film about the album's creation. Oh dear, is that the best Apple can do.